School officials confirmed on Friday afternoon offensive language, including the N-word, would be removed from the enacted script of the show. 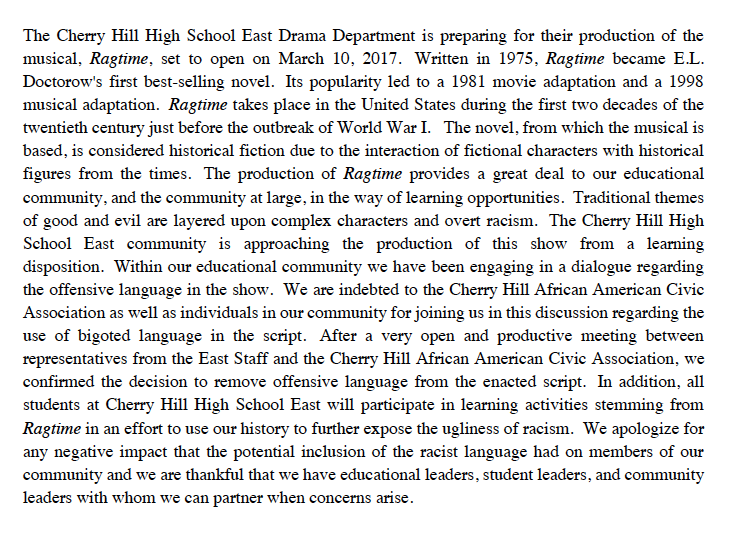 The script for Cherry Hill High School East’s spring musical “Ragtime” will not include offensive language, including the N-word, according the school officials. In a statement released on Friday afternoon, school officials said offensive language from the show has been removed from the script. “After a very open and productive meeting between representatives from the East staff and the Cherry Hill African American Civic Association, we confirmed the decision to remove offensive language from the enacted script,” the statement read. 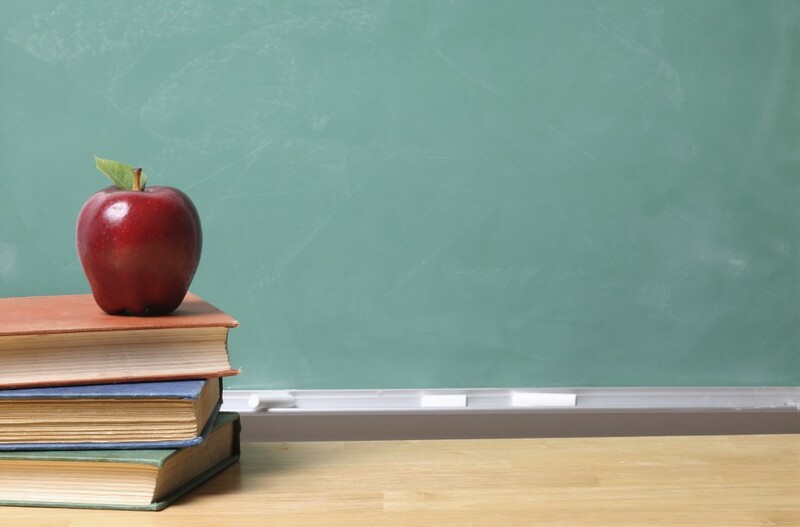 “Parents from the community have voiced their objections to this public sanctioned racially derogatory use of the N-word disguised as ‘literary freedom,’” the NAACP’s letter read. Superintendent Joe Meloche confirmed on Friday the N-word, used multiple times in the original Broadway script of “Ragtime,” will not be included in Cherry Hill East’s production. Meloche said internal discussions about the N-word and other derogatory language in the script were held late last week and early this week after some community members raised concerns about the script. Based on a novel from E.L. Doctrow, “Ragtime” focuses on three diverse families in early 20th century New York and highlights racial tensions and other diversity issues existing during the time period. The dialogue in the show includes language and words as they were spoken a century ago. Meloche said spring musicals at both of the district’s high schools are chosen well in advance, typically prior to the end of the previous school year. The schools try to give students a variety of shows to perform in during their four years in high school. Meloche added many of the themes in “Ragtime” are still prevalent in today’s world. “The folks involved in the decision process took a look at the show and at the world around us,” Meloche said. School officials say all students at the high school will participate in learning activities stemming from the show, “in an effort to use our history to further expose the ugliness of racism.” The show will open at Cherry Hill East on March 10. Meloche said he has not spoken with anyone from the NAACP office, but he did receive a letter from the organization on Wednesday. Meloche planned to reply to their concerns via email on Friday. Representatives from the Camden County East NAACP office could not be reached for comment.